Discover the benefits of joining our community organization. Chamber Benefits... Quick bullet points of how your business could benefit with chamber membership. We are happy to report that our neighboring communities/chamber members use our directory as a resource for referrals that have come to our members over the years through trust in their local chamber of commerce located here in the Warner Center Woodland Hills. Here is a list of just a few benefits. We have provided a link for further review. 1. Chamber of Commerce online Directory is activated upon membership receipt and is available on handheld devices to the public right away! 2. Immediate exposure potential to over 43 communities who want to reach the West Valley including~Woodland Hills, Tarzana, Reseda, Warner Center and our neighboring communities such as Calabasas, West Hills and Encino. 3. The Chamber is your Marketing partner. We are here for you. 4. Shop local discounts for you and your staff. 5. Ribbon Cutting is included. 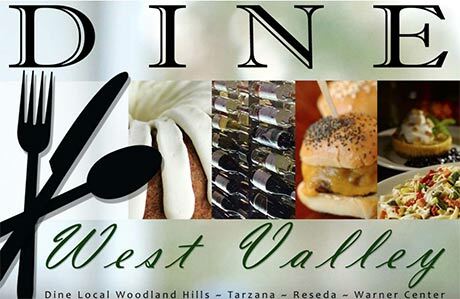 The West Valley ~ Warner Center Chamber of Commerce is a professional organization serving its members, local businesses, the community and visitors to the area. We are the largest Chamber in the San Fernando Valley with nearly 700 members. We serve Woodland Hills, Tarzana, Reseda and the entire Warner Center. The annual fee will list you as a member and show that you support the business and the community as a whole. You can be proud of all the work we accomplish supporting and promoting local businesses, increasing the desirability of our neighborhoods and working toward increasing public safety and quality of life where you live, work and play. You will be provided with an e-mail logo to add to your signature should you wish! There are 3 main attractions to becoming a member of a local Chamber of Commerce. (Connections-increase business; Community; and Credibility). There is a 4th major attraction- business advocacy. We advocate for business needs such as parking. We also are a strong presence in legislative issues which impact our business climate. We attend Neighborhood Council and other meetings of business organizations on behalf of our business members. We also have many committees that meet once a month. The chamber is a great option to give back.